Mooresville Park & Recreation Dept. Join us and many more at Mazeppa Park MTB Trails for their town’s ribbon cutting ceremony. 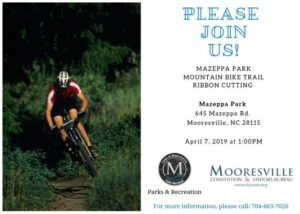 While opened at the end of 2018, Mazeppa Park was constructed by the same trail builder as Warrior Creek in Wilkesboro and it shows. The trail was originally intended to be one big loop, however after insight, funding and much more…More miles, bringing more smiles as well as roots, rock & some huckable creations along with pure smooth trail flow! 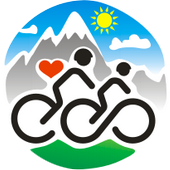 So, grab your bikes, helmets, hydration and friends and we hope to see you out there one adventure or another!